This discounted ticket is for anyone attending that is a member of Textiles Scotland. This ticket is available to all who are not Textiles Scotland members. 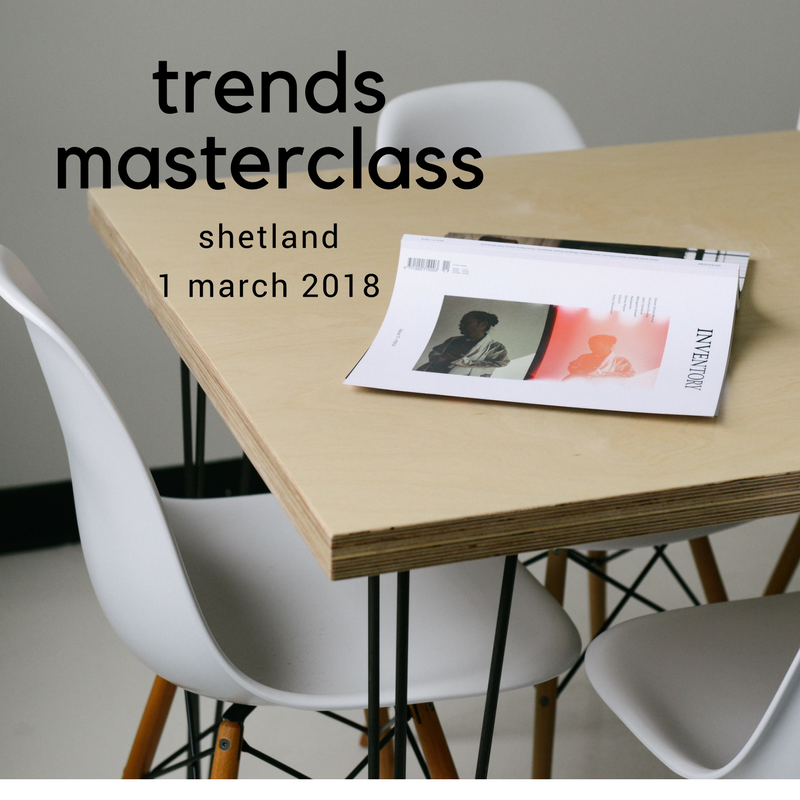 Textiles Scotland is delighted to be hosting our next Trends Masterclass focussing on market, creative and digital trends with industry expert Fiona Chautard. This page is to book a space in Shetland - if you are looking for the Glasgow Masterclass please book here. Fiona is a designer & industry consultant who has been involved in the design, fashion and textile industry for over 25 years. She is a practising designer and business consultant, working with companies large & small helping them to develop product which is relevant for a fast changing marketplace. Join us for a thorough and interesting analysis of market, fashion, interior & digital trends affecting the market place, highlighting directional colours, inspiration & influences for Spring / Summer 2019. 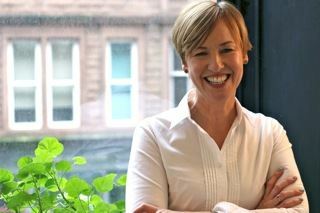 There will be a chance for a select number of Shetland businesses to have a one-to-one with Fiona following the Masterclass. This will be a full day masterclass. Please arrive 10 minutes early. Lunch will be provided and is included in the cost of the ticket. Please note that everyone coming to along to this Masterclass will be required to fill in a HIE form which will be sent directly to you via email. This event is open to all companies & individuals from all business sectors, with Textile Scotland members invited to attend at a discounted price. If you are not currently a member and would like to join please click here. Places for each Masterclass are limited so we recommend that you book early.